Greeny Lying Bastards: Are In It For The Money. 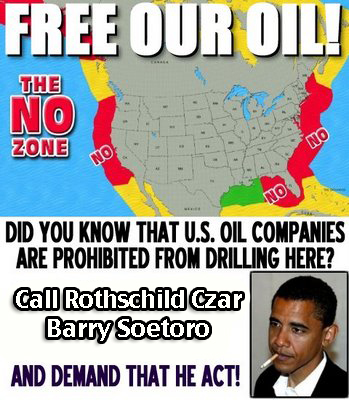 ROTHSCHILD CRONIE OBAMA SHUTS DOWN UNITED STATES OIL PRODUCTIONS. Yeah…about this title. I did take the liberty to exchange one teeny letter in the banner of a new movie, Greedy Lying Bastards. It is premised on the notion that Big Oil is pouring lots of carbon-drenched money into pockets of climate crisis skeptics. Is this true? Not so much! Actually, it’s the alarm-trumpeting, subsidy-dependent, anti-carbon scammers that really score the Big Green. Breaking – Does Daryl Hannah : Support Obama Sending Billions In U.S. 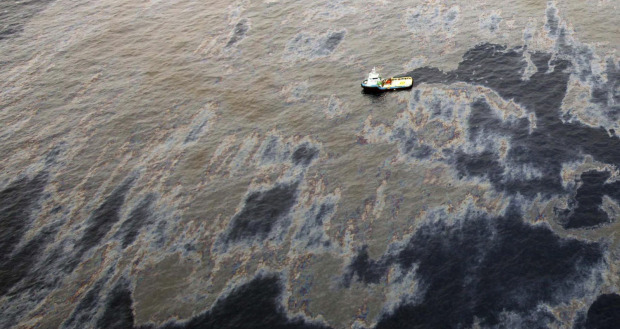 Taxpayer Dollars To Brazil For Offshore Oil Wells? Ironically, many shots in the movie show last summer’s Waldo Canyon fire in Colorado Springs, Colorado, while Rosenbraugh nods sympathetically as people talk about losing their luxury homes in the blaze he attributed to global warming. Not mentioned is that when Rosenbraugh previously acted as spokesman for the Earth Liberation Front (ELF), he advocated torching such homes. That was a time back in 1998 when he received allegedly anonymous “communiques” from ELF saboteurs, sometimes by encrypted email, and then issued laudatory press releases about their attacks on extravagant dwellings, SUVs, logging operations, biomedical and genetic plant research laboratories, and mink ranches. 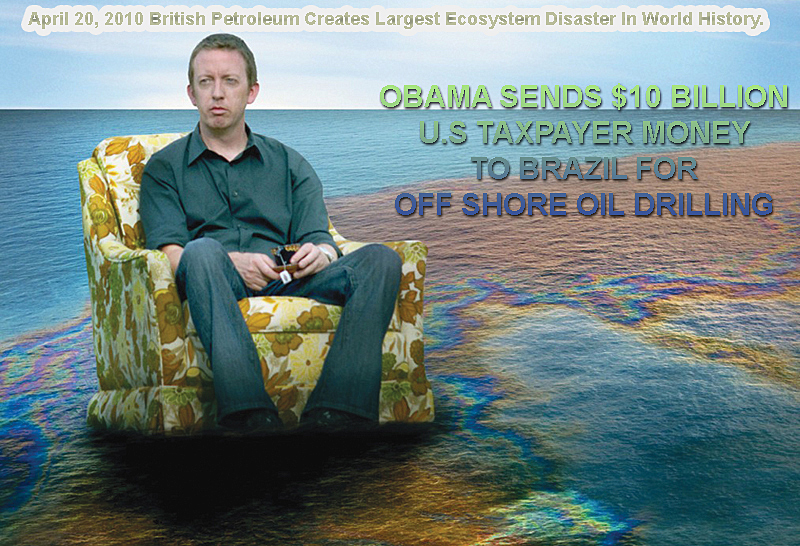 Brazil Oil Spill ~ Where Obama Dumped $10 Billion U.S. Tax Payer Dollars ~ Interesting Trail Of Treason Eh? FORCING AMERICA TO BUY MIDDLE EAST OIL FROM THE ISLAMIC STATE RELIGION. Rosenbraugh was summoned before several grand juries in connection with ELF activities. 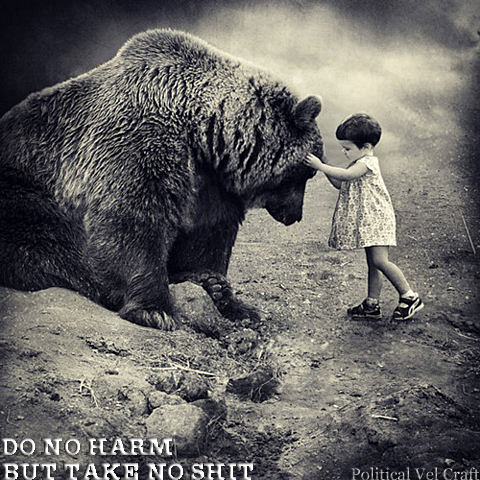 During testimony in a February 2002 congressional hearing where ELF and its allied Animal Liberation Front was accused by the FBI’s terrorism chief of causing $43 million in damage, he took the Fifth 54 times. 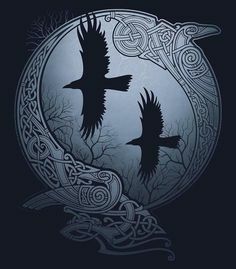 Rosenbraugh still claims that he never knew the identities of those attackers until after the culprits were captured by a massive FBI-run task force in December 2005 and January 2006. Yet a government memorandum indicates that he met with them after the Clatskanie-Seattle fires when they called him down for correcting misinformation in their communiques. 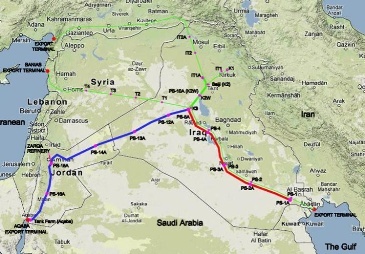 Putting The Middle East Muslims Back To Work: Rothschild Czar Obama Clears The way For Iraq & Jordan To Sign $18 Billion 1,056 Mile Oil Pipeline Deal ~ Putting Thousands To Work In Middle East. 2012 Worst Year In U.S. History For Citizens Leaving The Work Force: Obama’s Magic Unemployment Numbers Manipulation! Climate-change deniers? I don’t know that I’ve ever met anyone who denies that climate change happens, and certainly none of those people that we’re supposed to feel good about having their keisters being kicked in that crocumentary. 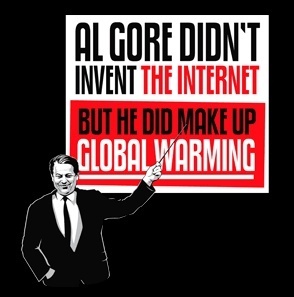 And regarding that distorted science and deflection of meaningful government action, do you happen to remember Climategate? Those revelations that a crowd of trusted researchers distorted science which has provided the basis for a costly fossil energy regulatory rampage and billions of dollars wasted on pointless Green handouts? How “meaningful” have those government actions turned out to be? One of the favorite attack targets which supposedly benefited from fossil industry-funded debauchery is the unabashedly conservative Heartland Institute. This notion got a big boost a year ago when so-called “mainstream” climate scientist, Peter Gleick, issued a phony claim taken from a wholly fabricated fake document that Heartland had received a $200,000 contribution from the Koch Foundation, plus big Exxon bucks. As it turned out, the actual amount of money contributed by the Koch Foundation amounted to a total gift of $25,000 which was earmarked and spent for a health care newsletter. Heartland had not received any Exxon money at all since 2006. Isn’t it pretty chintzy not to give at least something to an organization that, according to the Associated Press, is “one of the loudest voices denying human-caused global warming, hosting the largest international scientific conferences on climate change”? On the other hand, back in 2002 Exxon did commit $100 million over 10 years to the Global Climate and Energy Project at Stanford University to support research related to development of new energy and carbon sequestration technology. And what about the $2 million that Conservation International accepted from British Petroleumbetween 2000-2006 when BP’s chief executive sat on their board? 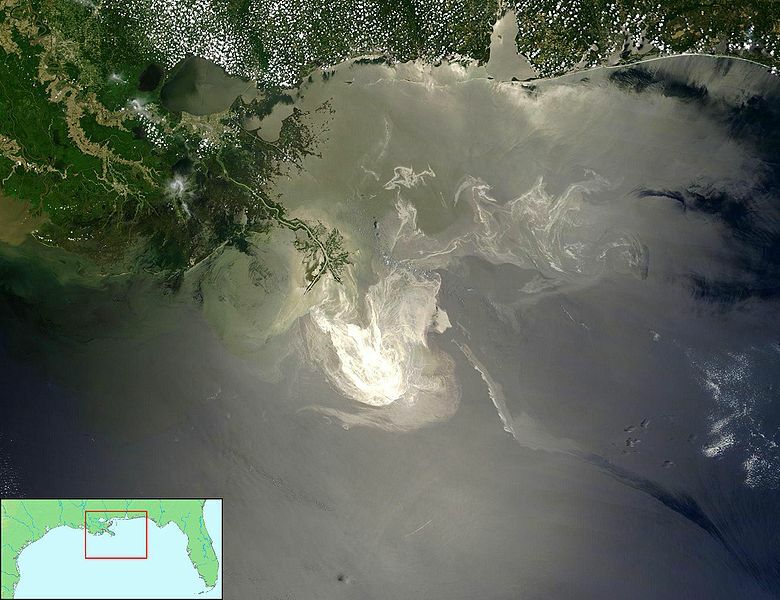 And the Nature Conservancywhich also gave BP a seat on their board, accepting nearly $10 million in cash and land contributions from them over the years? Then there’s that $26 million of secret Big Oil money that Chesapeake Energy paid to the Sierra Club between 2007 and 2010 which supported its “Beyond Coal” campaign to block new coal-fired plants and shutter old ones. Now consider that about one-quarter of their total $4.4 million 2011 budget that Heartland devoted to climate research dissemination activities is barely a rounding error in what other opposing-view non-profits spend. For example, compare this with Al Gore’s Alliance for Climate Protectionwhich reportedly netted more than $88 million in 2008, the Natural Resources Defense Council, which reportedly took in more than $95 million in 2011 operating revenues, and the World Wildlife Fund that raised more than $238 million that year. WWF spent $68.5 million on “public education” alone, compared with Heartland’s $200,000 budget for this. As Ron Arnold points out in a piece he wrote for the Canada Free Press, “Greedy Lying Bastardsproducers spent nearly $2 million to complain about climate skeptic money, in yet another Big Green attack on anyone who disagrees with the climate fanatic industry which is, itself , a multi-billion-dollar enterprise that seeks to impose anti-energy policies in the name of preventing climate change.” Yes, and the number of us who disagree with premises and goals of that enterprise is growing rapidly. Such skepticism has arisen, in part, from revelations of conspiracies among influential international researchers to falsify and exaggerate the existence and threats of man-made climate change, withhold background data, and suppress contrary findings. Perhaps providently, the release of a huge number of additional email communications among key Climategate figures coincides with the timing of Bastards’ debut. Quite possibly, this new data dump will reveal even more keisters that warrant serious kicking. Other doubt is legitimately fueled by direct observations. We commonly witness alarmist claims based upon short-term warming events, while other equally notable cooling episodes are dismissed in importance, attributed to warming, or cited as proof of disturbing “climate change”. We are told, again and again, that climate change is “real” (as if anyone doubted that), and invariably “bad”; that we are causing it (even though global temperatures over the past 17 years have been flat despite increasing atmospheric CO2 concentrations); and that a bunch of conspiratorial sponsors and “deniers” are standing in the way of urgent solutions. Also, by the way, global hurricane activity, measured in total energy (Accumulated Cyclone Energy), is actually at a low not encountered since the 1970s. In fact, the U.S. is currently experiencing the longest absence of severe landfall hurricanes in over a century. Wilma, the last Category 3 or stronger storm, occurred more than seven years ago. Unsurprisingly, Greedy Lying Bastards doesn’t mention any of that. Were they to do so, it might have discouraged support from some of the contributors they credited — like, for example, EarthJustice (formerly the Sierra Club Legal Defense Fund), Greenpeace USA, and the Natural Resources Defense Council. After all, just as other science fiction movies have proven, really scary stuff can bring in an audience. CFACT Advisor Larry Bell Leads the graduate program in space architecture at the University of Houston. He founded and directs the Sasakawa International Center for Space Architecture. Maurice Strong: The climate change and economic crisis require a degree of international cooperation that has only been achieved on a limited basis in wartime and never on the global scale. 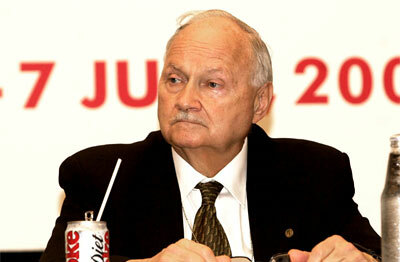 Another Wanted Felon _ Maurice Strong Designer Of The Global Warming Scheme. ← New Study: Vaporized Marijuana Is A Safe And Effective Pain Treatment.